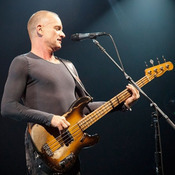 Sting | News | Sting - Back To Bass - European Tour 2012! 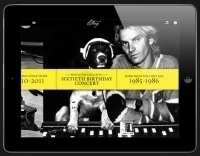 Live Nation is pleased to announce that Sting's Back to Bass tour will extend to Europe early next year! Currently garnering stellar reviews throughout North America, the Back to Bass tour celebrates the 25th anniversary of Sting's solo career by taking it back to bass…all the hits, stripped down, as they haven't been played in years. The tour will begin in Gateshead, UK at The Sage Gateshead on February 5, 2012, and continue across Europe and the UK. Cities announced today include Amsterdam, Gothenburg, Stockholm, Copenhagen, Warsaw, Prague, Vienna, and Brussels as well as multiple dates in France, Germany and the UK (itinerary below). Additional dates will be announced in the coming weeks. The Fan Club presale for the concert in Copenhagen will begin at 9AM (local time) Thursday, November 17. Legacy Fan Club members will be given a two (2) hour advance window at the start of the presale followed by a presale to all members beginning at 11AM (local time). Tickets will go on sale to the public Monday, November 21 at 10AM (local time). The Fan Club presale for performances in France will begin at 10AM (local time) Monday, November 21. Legacy Fan Club members will be given a one hour advance window at the start of the presale followed by a presale to all members beginning at 11AM (local time). Tickets will go on sale to the public Friday, November 25 at 10AM (local time). For the concert in Paris, tickets will go on sale to the public Friday, November 25 at 9AM (local time). Finally, the Fan Club presale for performances in Warsaw and Prague will begin at 10AM (local time) Tuesday, November 22. Legacy Fan Club members will be given a one hour advance window at the start of the presale followed by a presale to all members beginning at 11AM (local time). Tickets for the concert in Prague will go on sale to the public Friday, November 25 at 9AM (local time) and for the concert in Warsaw on Friday, November 25 at 10AM (local time). VIP Packages are available in select cities, including premium tickets, exclusive merchandise and more. I am trying to buy tickets for Prague but cant see any workable link...I am "ordinary" member but from following what is mentioned in the website it doeasnt seems to have to be a problem as it says ALL MEMBERS should have option for pre-sale...is it correct?? "Finally, the Fan Club presale for performances in Warsaw and Prague will begin at 10AM (local time) Tuesday, November 22. Legacy Fan Club members will be given a one hour advance window at the start of the presale followed by a presale to all members beginning at 11AM (local time)"
It means local time in the country where the concert is taking place. Sorry for stupid question, but "local time" means London time? Anyone looking for tickets to the German shows should consider using ticketmaster.de - Tickets are about 15 Euro cheaper than at eventim.de, and the company is just as trustworthy and reliable (sting.com used them for the fan club presale for the 2nd German leg of Symphonicity). Maybe they should be used for presales again, the piece of the pie that eventim.de consistently wants for themselves is just too big IMO. Yes you can but be advised that the tickets for the Amsterdam show are general admission on the floor, so you would not be buying reserved seats on the floor in the presale. what is the diferenece in ticket prices on presale for those who have full membership? If I become an member now is it on time to get the code and purchase tickets? Presales are only available to paid members. That is why you don't see any presales links. Sorry ofcourse I did that. There is nothing. I have an free membership but that is no pproblem I hope? The liks for the European gigs are not there and there is no code? sorry no links for the european shows and no code on the tourpage? To access the presale links, login in to the website first and then visit the tour page where you will find the necessary links and your presale code. Please come to Portugal !! Please, please addNew Orleans to your NA tour. I know the Saenger is not repaired from Katrina but Mahalia Jackson is a nice venue!! I have never missed a tour since...please come to NOLA so I can see this one!!! Anyone able to tell me the ticket price for Cologne, Germany?